Andrew Grigsby has a civil trial practice that includes extensive experience in cases emphasizing insurance issues. He has handled trials and appeals in matters involving insurance coverage, bad faith, uninsured motorist claims, insurance broker errors & omissions, homeowners, including lender placed policies, commercial property claims, and non-trucking liability. Mr. Grigsby has argued appeals in every jurisdiction, state and federal, in the state of Florida. 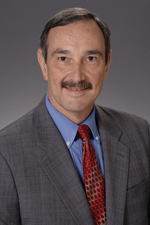 Mr. Grigsby has been a member of The Florida Bar since 1981 and in the past, has been retained and testifies as an expert witness on Florida law regarding insurance coverage and bad faith issues in both first party and third party insurance matters. Exemplifying his extensive trial experience, Mr. Grigsby is a former Commissioner and Chair of the Florida Supreme Court Judicial Nominating Commission from 2001 to 2010, and he served as a Commissioner for the Third District Court of Appeal Judicial Nominating Commission from 1999 to 2001. He joined Hinshaw & Culbertson LLP in March 1996. "Wrap Around and other Non-Standard Policys," Construction Defect Seminar, May 10, 2017. "Bad Faith in Florida," West Coast Casualty Symposium, Anaheim, California, May 2016. "Bad Faith in Florida," Crum & Foster Insurance, Morristown, New Jersey, March 9, 2015. "Excess Carriers - Their Roles and Duties," Chicago Symposium, Chicago, Illinois, June 24, 2014. "Devil in the Details: Select Coverage Issues," webinar, Farmers Insurance Group, October 2013. "Overview of General Bad Faith Principles" and "Denial of Coverage," National Business Institute, Dania, Florida, June 2012. "Recover and Rebuild, Part Two: Resolving Claims with Limited Resources," Hinshaw's 2011 Insurance Services Symposium, Chicago, Illinois, October 2011. "Understand What the Insurer Is—And Isn’t—Responsible For," and "Stay on Top of Recent Legal Developments and Special Issues," National Business Institute seminar "Settling Uninsured and Underinsured Motorist Claims," Miami, Florida, September 2011. "Florida Uninsured Motor Coverage," American Modern Insurance Group, Cincinnati, Ohio, June 2010. “Liability Concerns for Insurers and Insureds: Key Trends and Helpful Strategies,” chapter author, “Minimizing Insurance Liability: Leading Lawyers on Navigating State and Federal Regulations, Evaluating Exposure, and Drafting Agreements (Inside the Minds),” Aspatore, published by Thomson Reuters, February 2009. "The Dance of the Porcupines: Defense Under a Reservation of Rights in Florida," The Florida Bar Journal, Volumne 83, No. 2, February 2009.